Image of the Pine Point mine courtesy of Pine Point Mining. The town of Hay River, in the Canadian Northwest Territories, could soon have a nearby mine operating again, thanks to a deal between mining companies reached earlier this month. Osisko Metals (TSXV:OM), an exploration company significantly held by Osisko Mining (TSX:OSK) and Osisko Gold Royalties (TSX:OR), purchased all of the shares of Pine Point Mining, which owned the Pine Point lead-zinc mine located on the south shore of Great Slave Lake. The all-stock deal is worth approximately $34 million, and offers Pine Point Mining shareholders up to a 27% premium on its stock price as of December 15. The agreement also spun out a new company, Spinco, which will hold all the assets and liabilities of Pine Point Mining with the exception of the acquired mine. Between 1964 and 1987 the Pine Point mine, operated by Cominco, produced 64 million tonnes grading 7% zinc and 3.1% lead. It shut down because deposits near the processing plant were mined out and zinc prices slid. Since then however the new town of Hay River was built and the mill was reclaimed, meaning a new facility could be built close to the remaining deposits – of which there are about 46 left unmined. The project has ready access to a railway, highways and electricity. Pine Point tells an interesting history of the mine on its website, with it having been first discovered in 1899 by prospectors heading to the Klondike gold rush. Cominco Ltd. began exploration at Pine Point in 1929, with test-pitting, drilling and shaft sinking. In 1948, Cominco began major exploration work, using the Mississippi-Valley-type model to guide exploration. It was a mega-project for its time, costing $133 million (more than $1 billion in today’s dollars), and included a railroad, hydro-electric dam and a town where up to 2000 people could live. According to a recent media report assay data exists for many of the deposits but only 10 have been brought up NI 43-101 standards. The goal of Osisko Metals is to bring the remaining 36 up to modern technical standards. "We can't take historical data per se," Jeff Hussey, president and CEO, told CBC News. "We have to go in, re-drill the assay and compare to previous data. If they're within an acceptable margin we can use the historic data, if not we have to re-drill completely." Pine Point acquired the mine in December 2016 for $8 million in cash and shares when it was called Darnley Bay Resources; the company changed its name in August. A PEA completed in April shows the facility producing 1.35 billion pounds of zinc and 536 million pounds of lead over its 13-year lifespan. At full production the mine would employ an average 321 people including staff and contractors. 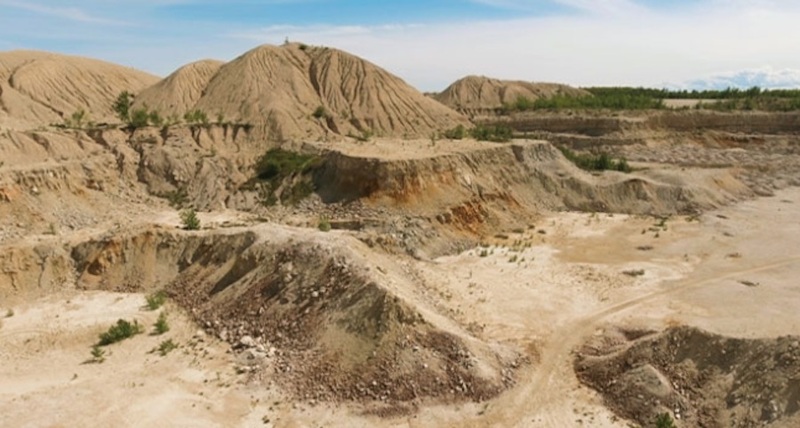 The project is envisioned as a series of 10 open pit deposits mined in sequence. Total mineral resources included in the PEA mine plan are 25.8 million tonnes of measured and indicated resources grading 2.94% zinc and 1.12% lead, and an additional 3.7 million tonnes of inferred resources grading 2.90% zinc and 0.77% lead. Pre-production capital costs are pegged at $153.8 million, including a 15% contingency, with sustaining capex of $117.5 million over the life of the mine. Lead and zinc both added more than 25% in value this year building on spectacular performances in 2016.